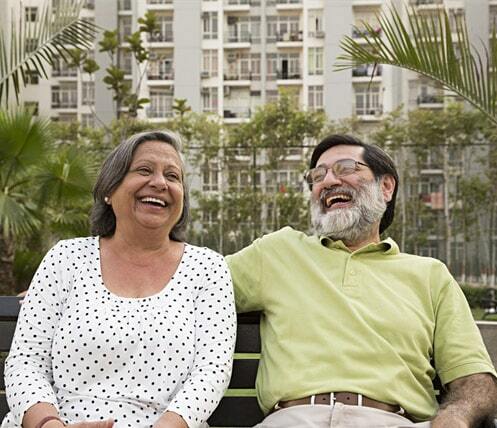 When you associate yourself with an empathetic and trusted builder like Durga, finding your new home does not remain a challenge. We turn your house search into an adventure, which is pleasant as well as fulfilling at the same time. 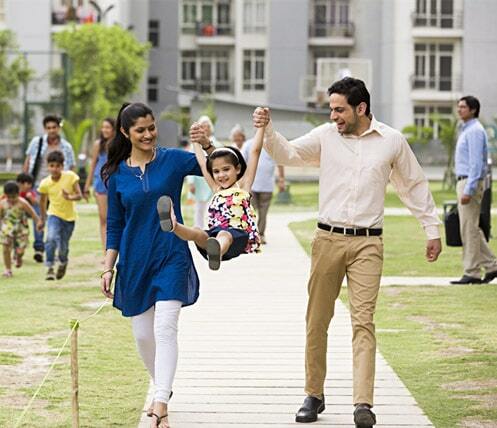 Buying a new home is equal to embarking on a long term adventure and when it is with a trusted and emapthetic builder like Durga with a commitment to quality, the adventure becomes a pleasant and fulfilling one. We are not new to the construction sector – we have been in property development for over a dozen years and are constantly learning how to innovate to satisfy your changing needs. The number of smiling faces that reside in our buildings are real life testimonials to the satisfaction levels of our customers. Most of our new customers are referred by someone who already owns one of our homes and not by aggressive advertising or hard sell. Unlike builders who bombard you with colourful brochures that list endless features but deliver you a home that is far outside of what you expect, with Durga, there is none of the idle conversation and superfluous adjectives. Unlike builders who bombard you with colourful brochures that list endless features but deliver you a home that is far outside of what you expect, with Durga, there is none of the idle conversation and superfluous adjectives. Our homes speak for themselves in quality of construction, innovation of design, economy of space, maximizing of natural resources and reliability of fixtures. We are passionate about the kind of homes we make and we understand your needs. Our experience provides us with the insight to give customer satisfaction and our expertise makes sure that all that we have promised and more is delivered. Our approach is entirely professional and our construction completely reliable and sustainable. We strive to provide to you “What you need�? than “what we want to sell? and delver the promise that we commit. When you set out on the journey of buying a home, you are aware of the enormous amount of legal issues that you will need to deal with. This process can be a nightmare at the best of times and take ages to sort out. When you set out on the journey of buying a home, you are aware of the enormous amount of legal issues that you will need to deal with. This process can be a nightmare at the best of times and take ages to sort out. During such a time, all you need is a company like Durga to stand beside you and hold your hand, supporting you through all the problems of acquisition and ownership. We understand that you have placed your trust in us to sort out these problems for you and guide you through the process, making your whole experience a pleasant and happy one, minus all the negativity. Buying a home is one of the most expensive decisions one makes in a lifetime and a developer like us will help you maximize that dream without creating a hole in your purse. Even if you are looking to purchase a Durga home as an investment, it makes the best sense. Investing in gold is a risky venture – it could get stolen. 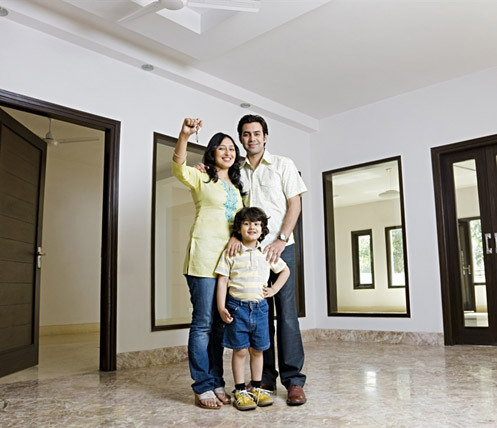 Even if you are looking to purchase a Durga home as an investment, it makes the best sense. Investing in gold is a risky venture – it could get stolen. Investing in the share market brings you at best – just modest returns and is subject to the vagaries of governments and investor sentiment – even vague rumours can destabilize prices. Real estate is one of the best places to park your money and of course this is not just any builder or developer – It is your very own trusted Durga Group where investments will bring sure returns. Our homes are reasonably priced to begin with – and are solid value for money. We know real estate investment is driven out of “Location Location and Location". As always, Durga brings you the best in construction technology. 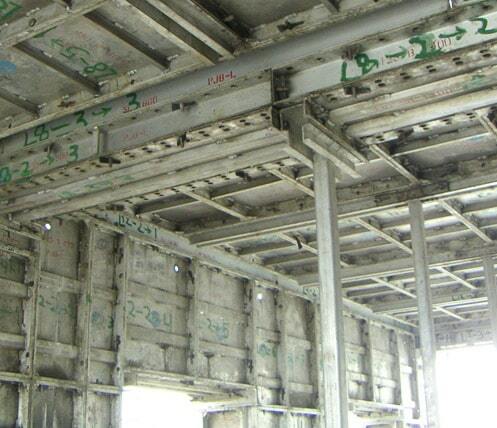 In addition to being the latest in technology, Aluminium Shuttering Technology offers significant cost advantage, reduces time and also improves the overall quality of construction. Aluminium Formwork panels are typically designed for any condition/ component of building such as bay windows, stairs, balconies and special architectural features. This system is unique as all the components in a building, including slabs, floors, walls, columns, beams, staircases, balconies and window hood, are concrete and there is no need for block works or brick works.